Over Paid your HVUT tax? Well, Claim your refund instantly via Truckdues.com. Over Paid your HVUT? Well, Claim your refund instantly via Truckdues.com. Many truckers and trucking companies’ ends up making an overpayment towards their HVUT Form 2290 taxes due to various reasons likely, they would have been into the conventional way of paper mailing the Physical Form stapled with a payment and receives the proof of payment back in mail in a fortnight, however this doesn’t seem to be a trouble until it costs any individual owner operators or trucking firms an immediate registration. So, many truckers who anticipates a response beck from the IRS out of paper mail ends up e-filing too so there comes an over payment of taxes by both mediums. How hard could it be for someone to realize that their hard earned money was overpaid to the IRS? So we got a solution for that. 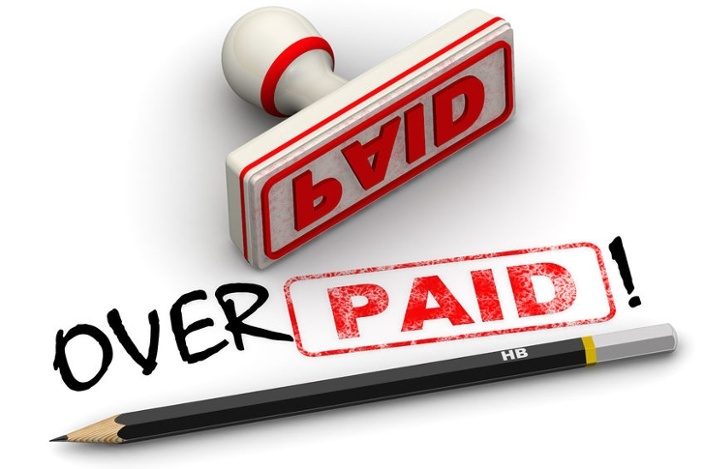 You just need to E-file a Form 8849 Schedule 6 (Claim for refund of excise taxes) to receive the overpaid refund back from the IRS in the form of a check by mail within 21 business days. Hence, E-filing is strictly advisable when the companies or truckers need their Form 2290 as soon as possible to get their registration done. The common inconveniences involved in the paper filing process is the turnaround time, corrections etc. requires an in person visit to the Local IRS facility. This process can be easily bypassed by e-filing HVUT tax return via www.truckdues.com. Form 2290 must be filed on a vehicle by the last day of the month following the month of its first use. On that basis, Feb 28th, 2018 will be deadline to e-file Form 2290 for vehicles which were been used on the road since January 2018. Our best advice to the HVUT tax payers is try not to procrastinate as it could cost your hard earned money towards IRS late filing fees & penalties. Realize & React now. Prefer e-filing your HVUT to avoid wasting time anticipating a delayed response. Whilst e-filing, you’d be able to receive the IRS digital watermarked copy of schedule 1 back in your registered e-mail address back in minutes. The same copy would serve as a legal proof of payment during your vehicle registration to obtain your license plates, tags & etc. Besides, corrections to Form 2290 can be performed in a swing of a bat when e-filed as the turnaround time is mere few minutes. This entry was posted in 2290 e-file, Form 2290, HVUT 2017 -2018, Truck Tax Online and tagged 2290 e file, Agriculture Vehicle, American Trucking, can form 2290 be efiled, can you e-file form 2290, e file form 2290 irs, e file heavy highway vehicle use tax return, e-file for form 2290 excise tax filers, e-file-Form-2290, e-filing your form 2290, ein, federal heavy highway vehicle use tax, Form 2290, Form 2290 Amendment, form 2290 application, form 2290 category w, form 2290 contact number, form 2290 download, form 2290 due, form 2290 e file providers, form 2290 exemption, form 2290 explained, form 2290 extension, form 2290 federal excise tax, form 2290 filing date, form 2290 heavy highway vehicle use tax return instructions, form 2290 heavy highway vehicles, form 2290 help, form 2290 highway use tax, form 2290 instructions 2017, form 2290 irs online, form 2290 july 2017, form 2290 late penalty, form 2290 renewal, form 8849 schedule 6, form 8849 schedule 6 instructions, heavy duty truck tax, heavy goods vehicle tax bands, heavy goods vehicle tax rates, heavy highway motor vehicle use tax, heavy highway vehicle tax, heavy highway vehicle tax 2290, heavy highway vehicle tax form 2290, heavy highway vehicle tax return, heavy highway vehicle tax return form 2290, heavy highway vehicle use tax, heavy highway vehicle use tax contact, heavy highway vehicle use tax deductible, heavy highway vehicle use tax due date, heavy highway vehicle use tax e file, heavy highway vehicle use tax efile, heavy highway vehicle use tax exemption, heavy highway vehicle use tax form, heavy highway vehicle use tax information, heavy highway vehicle use tax mailing address, heavy highway vehicle use tax online, heavy highway vehicle use tax phone number, heavy highway vehicle use tax refund, heavy highway vehicle use tax return, heavy highway vehicle use tax return address, heavy highway vehicle use tax return due date, heavy highway vehicle use tax return form 2290, heavy highway vehicle use tax return instructions, heavy highway vehicle use tax return online, heavy highway vehicle use ttax instructions, heavy truck excise tax, heavy truck fuel tax, heavy truck highway tax, heavy truck highway use tax, heavy truck road tax, heavy truck road use tax, Heavy Truck Tax, HEAVY TRUCK TAX 2290, heavy truck tax deduction 2017, heavy truck tax form, heavy truck tax irs, heavy truck tax write off heavy vehicle use tax online filing, heavy truck use tax, heavy vehicle excise tax, heavy vehicle fuel tax credit, heavy vehicle road tax, Heavy vehicle tax, heavy vehicle tax 2290, heavy vehicle tax break, heavy vehicle tax clearance hawaii, heavy vehicle tax credit, heavy vehicle tax credit 2017, heavy vehicle tax deduction 2017, heavy vehicle tax form 2290, heavy vehicle tax payment, Heavy Vehicle Use Tax, heavy vehicle use tax cost, heavy vehicle use tax due date, heavy vehicle use tax exemption, heavy vehicle use tax exemption form, heavy vehicle use tax fees, heavy vehicle use tax filing, heavy vehicle use tax form, heavy vehicle use tax instructions, heavy vehicle use tax online, heavy vehicle use tax questions, heavy vehicle use tax refund, heavy vehicle use tax return, heavy vehicle use tax return form 2290, heavy vehicle weight tax, how do i e file form 2290, how to e file form 2290, HVUT, hvut 2017, HVUT 2017 -2018, hvut 2290, hvut 2290 due date, hvut amount, hvut cost, hvut due date, hvut filing, hvut form 2290, hvut form 2290 instructions, hvut form 2290 online, hvut instructions, hvut tax, i have overpaid tax, instructions for form 8849 schedule 6, IRS, irs form 2290 contact number, irs form 2290 due date, irs form 2290 e file, irs form 2290 heavy highway vehicle use tax, irs form 2290 heavy highway vehicle use tax return, irs form 2290 instructions 2017, irs form 2290 mailing address, irs form 2290 online, irs form 2290 payment, irs form 2290 pdf, irs form 2290 questions, irs form 8849 schedule 6, irs heavy highway vehicle use tax, irs heavy vehicle tax form, IRS watermark, is form 2290 filed annually, Late 2290, Late HVUT fees, Late HVUT payment, Owner Operators, pay heavy highway vehicle use tax online, pay heavy highway vehicle use tax return online, pay heavy vehicle tax online, schedule 6 for form 8849, semi truck tax deductions, semi truck tax depreciation, Truck Licensing, Truck Tags, truck tax online, Truck Tax Online 2290 e file, Truckers, Vehicle Identification Number, VIN Correction, what is a form 2290, what is heavy highway vehicle use tax, what is the heavy highway vehicle use tax, when is a 2290 form due, when is heavy highway vehicle use tax due, where to pay heavy highway vehicle use tax on February 3, 2018 by Truck Dues.